Lampwork bird tutorial on wood pen - Lampwork Etc. 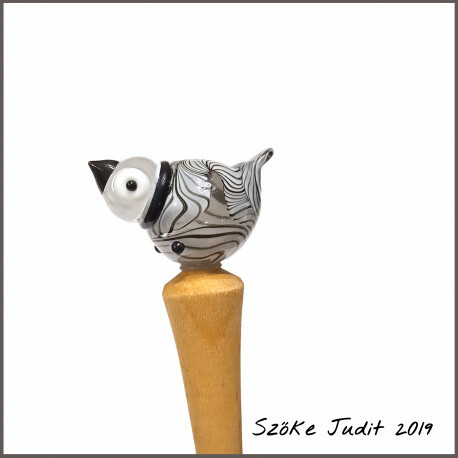 here is a videotutorial how to make a glass bird on M2.5 mandrel for wood pen or hair pin. Thanks! That's a gorgeous little bird! That was a lot of fun. It's so relaxing to watch these videos, and I loved seeing the bird come to life! Thank you very much for the wonderful lesson, but where to buy the right tools and parts? https://beachbuggy.at/en/35-jewelry-tools <-The bird is built with the M2.5 cabochon mandrel. If you try it, would be great to see! Thank you Judit! That is great!! All times are GMT -7. The time now is 1:07am.